Get a Bright, Beautiful Smile Today! 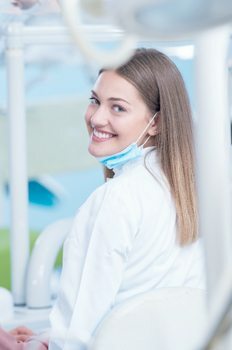 Over the years, your smile will lose its luster because it is a normal part of aging; however, there are also other various factors that can lead to stains. At the first sign of discoloration, it is natural to turn to over-the-counter whitening products because they are affordable and convenient. Unfortunately, they will not significantly improve your smile because they do not contain professional grade whitening agents. You are not out of options. You can get the dazzling results you want with Zoom! Teeth Whitening. West U Dental Smiles provides two convenient solutions for teeth whitening in Upper Kirby. Your teeth naturally turn yellow over the years because your enamel becomes thinner causing more of your yellowish dentin to be visible. Besides age, the foods and drinks you consume, poor oral hygiene habits, and smoking can also lead to premature discoloration. When over-the-counter products do not give you the results you want, you can achieve noticeable change with the Zoom! Teeth Whitening system. After an initial consultation to determine the cause of your stains, a customized treatment plan is created to reveal a brighter smile. West U Dental Smiles offers two convenient options to get your teeth several shades whiter. You can get your smile 8 to 10 shades whiter after just one appointment. We apply a protective barrier to your lips and gums to protect your soft tissues from any irritation before placing the whitening agent on your teeth. A special light activates the whitening agents to disrupt the discoloration molecules. The light is used for an average of three 15-minute intervals. Now, you can enjoy in-office results from the comfort of your own home. We provide you with custom-fit whitening trays to ensure the even and consistent distribution of the whitening agent. You use the kit daily for about 2 weeks. As each day passes, you will see your teeth gradually whiten. At the end of your treatment, your teeth will be several shades whiter with results that last using the right aftercare. 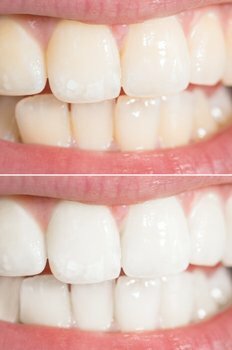 After your whitening treatment, you can protect your investment by preventing new stains from developing. Besides brushing and flossing your teeth, do not forget to visit your dentist twice a year for a cleaning and checkup. Limit your contact with any stain-causing factors, like coffee, tea, or tobacco. Get a Radiant Smile Today! You can turn back the hands of time and reveal a beautiful smile. Contact West U Dental Smiles today to schedule your consultation for in-office or at-home teeth whitening.